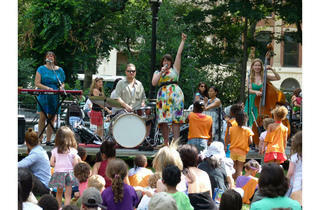 Madison Square Park hosts some of the best names in children music for a special series of free outdoor entertainment for kids and their families. 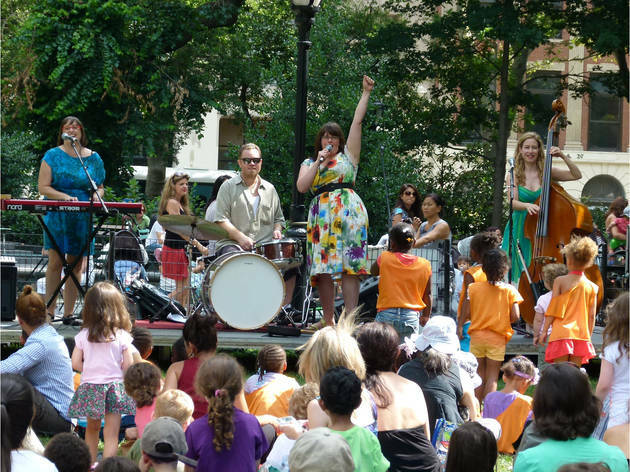 Kicking off the series is Brady Rymer and The Little Band That Could (5/28), who will be followed every Thursday by other kid faves like lullaby-loving fiddler Suz Slezak (6/4), girl-rocker Audra Rox (6/11), the Woody Guthrie-esque Alastair Moock and Friends (6/18), high-energy kindie band Recess Monkey (6/25), quirky crooners Danny Weinkauf & his Red Pants Band (7/9), tot-friendly sing-a-long group Songs for Seeds (7/16), joyful songstress Suzi Shelton (7/23) and finally, an interactive JazzReach program, Yes Indeed!, introducing youngsters to American blues (7/30). All ages.